From the star of Nearest and Dearest comes Not On Your Nellie – one of the major comedy successes of the 1970s. When blunt Northerner Nellie Pickersgill (Hylda Baker) is summoned down to London to look after her ailing father she isn't expecting to have to look after his pub as well – it's not the ideal situation for a teetotaller who can't abide drinkers! This set contains all three series, the last of which was cut short to just four episodes when Hylda Baker broke her ankle during recording. 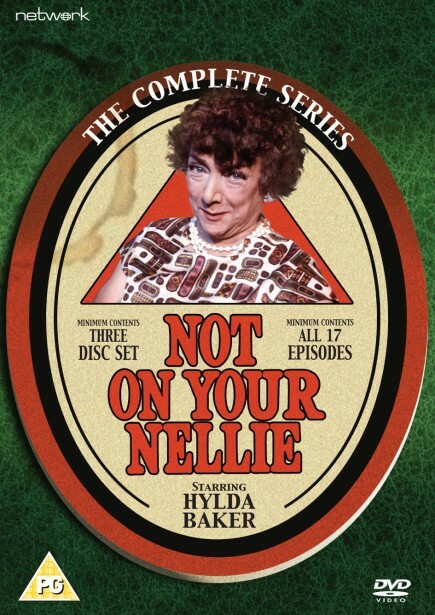 A bonus episode of the hit predecessor to Not on Your Nellie, starring Hylda Baker with Jimmy Jewell.